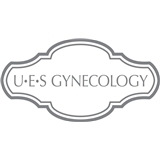 Upper East Side Gynecology (New York) - Book Appointment Online! Our mission is to provide expert, compassionate, and comprehensive health care to women of all ages-from adolescence through menopause. We are committed to taking the time to understand and attend to the individual needs of our patients in a warm, friendly setting. Moreover, our patients can expect to receive medical and surgical care of the highest quality. As a patient of Upper East Side Gynecology, you will be cared for by physicians who are personable, knowledgeable and experienced. Dr. Archibald and Dr. Wells have been professional colleagues since 2001, when they trained together in residency at Mount Sinai Hospital, in New York City. They both have been in private practice since that time, each with a loyal patient following. In addition, the doctors actively participate in training the next generation of gynecologists through teaching residents and medical students. I found Dr. Archibald off ZocDoc, and clearly the reviews don't lie. Dr. Archibald took the time to ask about my medical history, was efficient with my exam, and just had a lovely bedside manner overall. Her staff was courteous, and the office had a modern and calming feel. Glad to have found a solid OBGYN in the UES!